I've enjoyed other books by the author and this one sounds like a must read. I can't wait to get my hands on it. Tymanon is a centauress without a home or friends. But that's just how this shy, intelligent creature likes it. Until a pair of capricious gods pairs her up with a satyr in the infamous "love games," that were anything but. Petra wasn't her happily ever after. What nonsense to ever believe a centaur could be happy with a satyr, and yet when he looks at her with those mossy green eyes Ty feels things she's never felt before—wonder, joy, and maybe even something more. I can't believe I haven't seen this one before. I LOVE IT ALREADY!! Now that is an interesting cover! 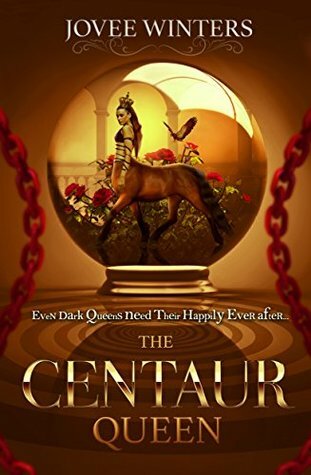 I don't think I've ever seen an illustration or artwork of a female centaur. I hope you enjoy this book when you get the chance to read it!